Mercedes-Benz has revealed its first-ever A-Class sedan. The version shown has been designed specifically for the Chinese market but we’ll see an A-Class sedan in the United States later this year. It’s due in the fall as a 2019 model. A design firm specializing in superyachts has designed a Land Rover Range Rover 6×6. The company envisions the vehicle as a tender for superyachts where it could be used to transport the yacht’s owner and guests. 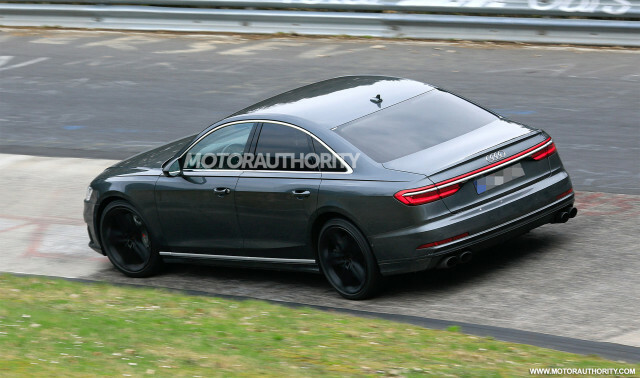 Audi is out testing the next generation of its S8, which is expected to benefit from the same twin-turbocharged V-8 found in the Porsche Panamera Turbo. A replacement for the current S8 Plus is also planned and could make the switch to plug-in hybrid power.